Anushka Sharma and Virat Kohli give relationship goals in the most adorable way possible. They recently returned to Mumbai from their short vacation in northern India. A lot many pics of the lovely couple have made their way on the Internet but what caught fancy this time was a picture of the couple where they were wearing each other’s jackets. 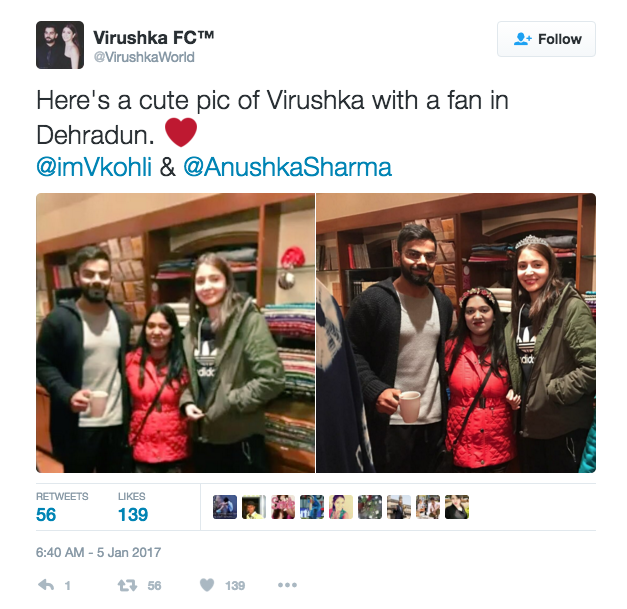 They were spotted enjoying the chilly weather of Uttrakhand, took a picture with their fan during one of their stops. 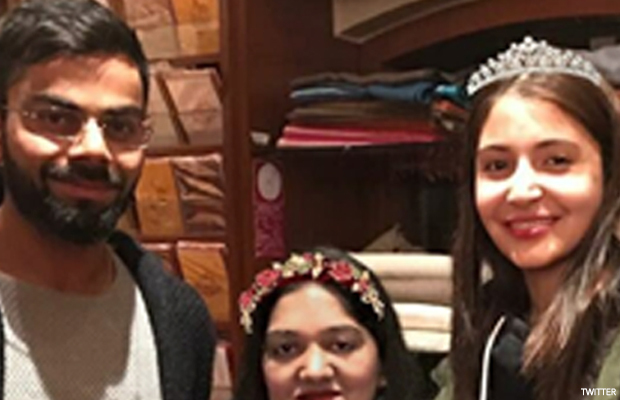 Now if we carefully notice, Virat is wearing the same black cape which Anushka was wearing and on the other hand, Anushka is wearing Virat‘s bomber jacket which he was wearing. The couple have been in a relationship for quite some time now and are also known for their unconditional love for each other in public. On the work front, Anushka Sharma is enjoying the success of Sultan and ADHM, while Virat Kohli is all set to be anointed as the captain of ODI team of the country after the resignation of MS Dhoni. AWWW! How cute is that? Also Watch Video: Anushka Sharma And Virat Kohli Already At Their New Year Destination! Previous articleBigg Boss 10: Salman Khan To Quit The Show For This Reason?